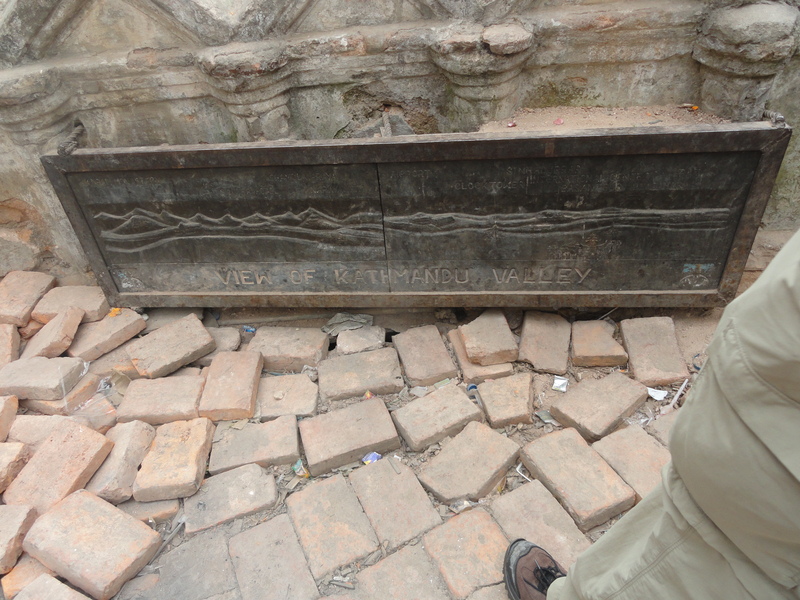 Weekly Photo Challenge: Broken in Nepal | Oh, the Places We See . . .
Photo taken high above Kathmandu where we could clearly see the city below. The broken stones we saw then may foretell what this city may be now — broken in many ways. Could be that we’ve had Nepal on our minds lately, but the word for the WordPress Weekly Photo Challenge: Broken just seems appropriate for that country right now. Not that we have any additional news. But just looking through our pictures taken in 2011 makes us realize that what we saw then may not even be intact after the April 2015 earthquakes. What we remember, though, is all positive when it comes to our memories of a Habitat International build in a village about 45 minutes from Kathmandu. We watched as the homeowner took a pick ax and broke up the rock in the quarry on his property. Broken pieces were “daisy-chained” up the mountain where stone cutters continued to shape stones into building blocks for a stone-and-mud home. 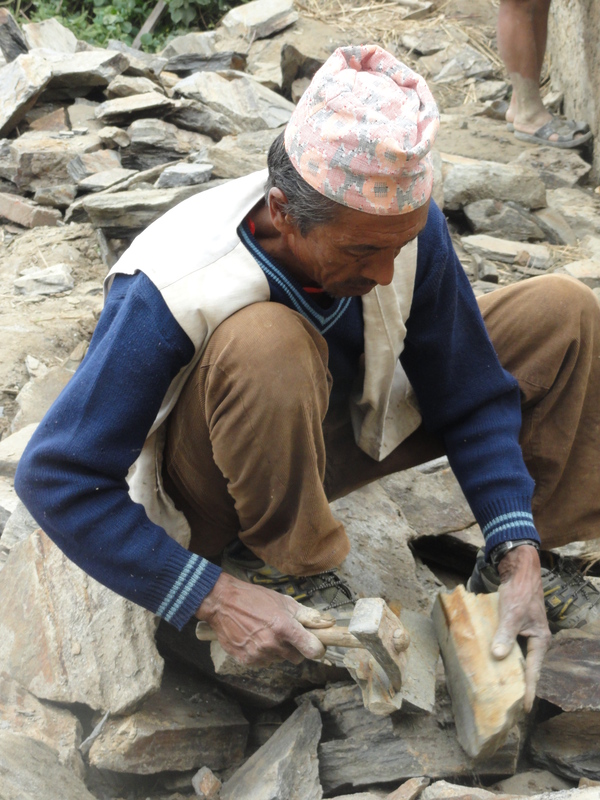 And then those broken and shaped stones formed walls for a new home for a young couple and their daughter. May that circle be unbroken as we continue to help others around the world. For more entries in the WordPress challenge this week — Weekly Photo Challenge: Broken — click here. 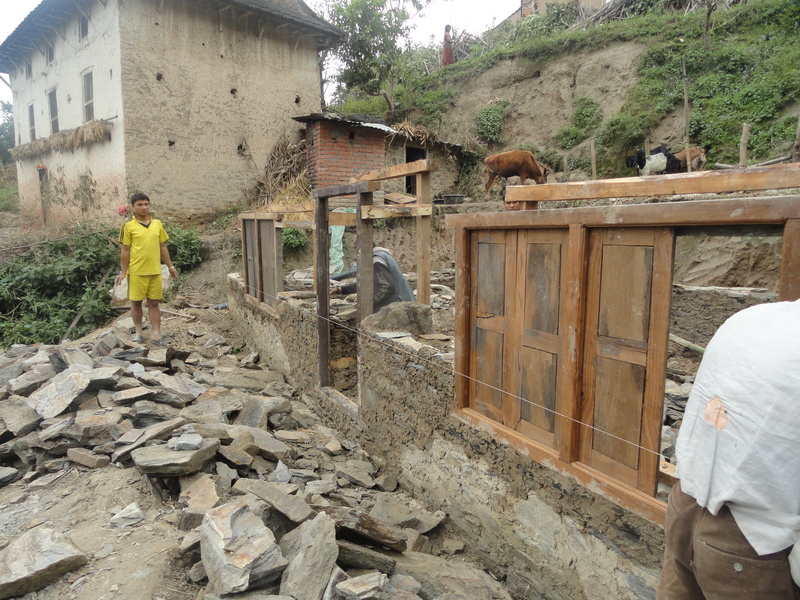 This entry was posted in Nepal, Weekly Photo Challenge and tagged broken, Habitat for Humanity, Nepal, postaday, quarry, stone cutter, stones, Weekly Photo Challenge: Broken. Bookmark the permalink. Thanks for your heartfelt response. I feel so badly for the people who seem to have lost some of the treasures they revered. I hope to get more information in the future of what’s lost and what’s being rebuilt. Thanks, Judy. We think of the people we met so very often, but don’t know how to get in touch to find out if they are OK. Happy Memorial Day! 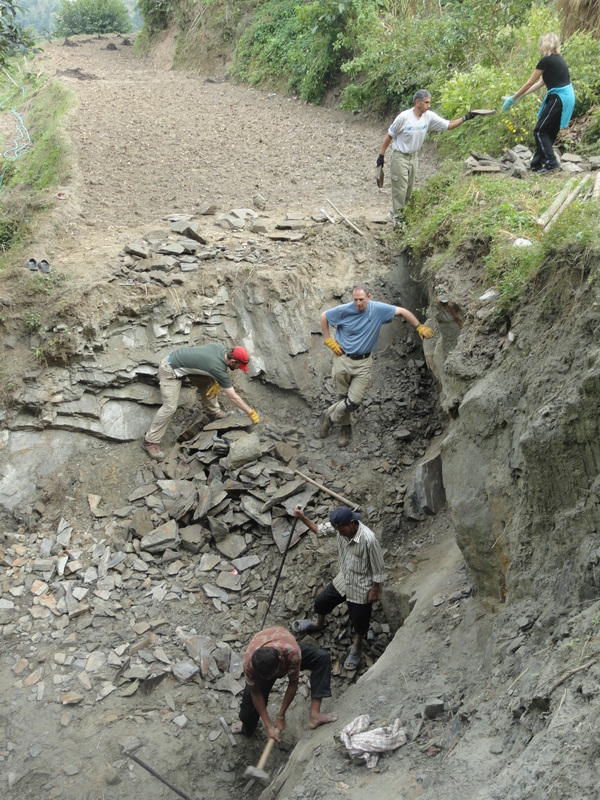 We loved our time in Nepal and worry about the people we met and saw. They are in our thoughts and prayers daily. Perfect for this. We need to keep Nepal in our hearts. We do, indeed. Thanks for taking a look and commenting. What a perfect example for the challenge – really nicely done. I especially like your closing thought. Thanks so much. It remains one of the most touching experiences of my life. What important memories, Rusha. I hope the young family is ok today. I do, too. But I haven’t heard anything except from one person on Facebook. Would love to go over there to assess damage, etc. Thanks for taking a look. They have endured so much… Thank you for the post, Rusha! Thanks, Amy. They really have endured so much. I know they are a resilient people, but they’ve really been tested of late.